Gary Propper, 1967. Photo Surfline. I don’t find myself in agreement with Peter FitzSimons all that often, but in the wake of the unspeakable Christchurch tragedy, I’m completely on-side with his assessment of Prime Minister Jacinda Ardern as a “leader for our times”. 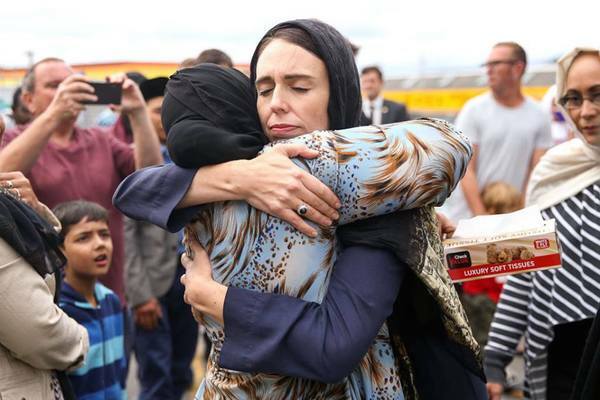 Fitzy went on: “This nation needs more leadership, across all levels, in all parties, like that provided by New Zealand Prime Minister Jacinda Ardern in the wake of Christchurch’s mosque massacres.” Hear, hear. And what do we get? We get Queensland Senator Fraser Anning, who put out a press release within hours of the massacre saying that it “highlights the growing fear within our community, both in Australia and New Zealand, of the increasing Muslim presence”. Words fail me. This from a creep who got his seat in the red chamber on a handful of votes and a bunch of dodgy ratbag preferences, following the dual-citizenship disqualification of One Nation senator Malcolm Roberts, and now claims to represent us while conducting whatever it is that he conducts from various rabbit-holes of right wing extremism in Melbourne. Well, you don’t represent me, mate! Egging is assault, of course, and I can’t condone the act of a teenager who made a good point in a bad way. But all that sorry little episode showed was that Anning surrounds himself with thugs and still has a handy left jab for a man approaching 70, and that might be part of the problem. The descendant of Central Queensland squatters chiefly famous for their part in “punitive” raids on Aboriginal settlements, Anning was an Army reservist and a bush publican before becoming a senator, when he infamously referred to the “final solution” in relation to Asian immigration in his maiden speech. In his short and inglorious political career, Anning’s views on race and immigration have proven so extremist that he has fallen out with both One Nation and the Katter Party. Say no more. He has to go, and the quicker the better. The WSL world qualifying tour kicked off in earnest in Sydney this week, with NSW’s biggest surfing event, the Vissla Sydney Pro at Manly getting underway with scudding showers and a dropping swell. 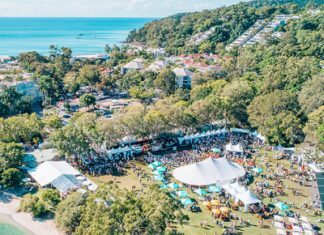 Manly comes alive under the Norfolk pines for this event, with concerts, shaping contest, skate bowl and general hoopla to complement the hundreds of heats being contested at North Steyne. But this week the frenzy is even more intense than normal, because for the first time in my memory – and I did write a book about the bugger! 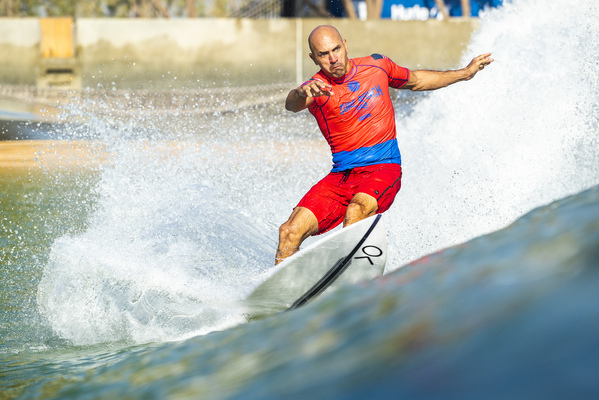 – Kelly Slater, the greatest of all time (GOAT), is starting his last full world tour season with a go-out at a qualifying event. At 47, Kelly is more than twice the age of most of the competitors in the Vissla Pro, some of whom were born in a different century, but that doesn’t mean he can’t still win it, nor does it mean that Manly is going any less nuts about having him in town. There was, I’ve heard, a hefty appearance fee involved, but money isn’t everything when you’ve been on top as long as he has, and since he bought a humble flat at Avalon 25 years ago – in one of his first real estate acquisitions as a world champ – Sydney’s northern beaches have been one of several places around the globe that Kelly thinks of as home. And with friends and mentors from those early years not getting any younger, and in uncertain health, I’m sure he’ll relish his time in town. At the Vissla Pro last year I hosted the inaugural Midget Farrelly Lifetime Achievement Award presentation breakfast on behalf of Surfing NSW and the Sydney Business Chamber, when Midget’s widow Beverlie presented it to Layne Beachley, and I’m delighted to have been invited as a guest for this year’s, when Kelly Slater will present the “Midget” to four-times world champion Mark Richards. More on that next week. Can Kelly beat the kids in two-foot Manly slop? Oh, I doubt it, but I can’t wait to see him back in the jersey, doing what GOAT does best. 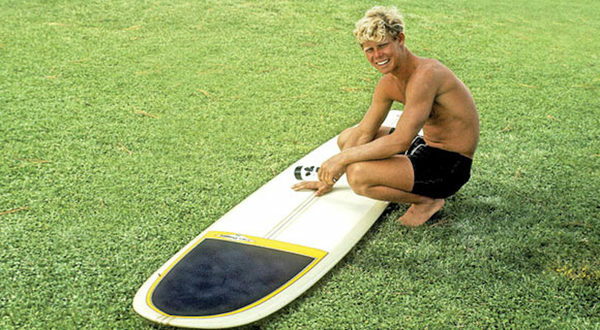 FOOTNOTE: Kelly may be the biggest surf star to ever come out of Cocoa Beach, Florida, but he wasn’t the first. That honour belongs to flamboyant hot-dogger Gary Propper, who was at his peak in the years before Kelly was born, and who passed away last weekend, aged 72. A talented artist, Propper faded away from the surf scene in the 1980s, but re-emerged in the ‘90s as one of the producers of the unlikely hit movie series Teenage Mutant Ninja Turtles. This opened up new fame and a new career, but it didn’t make Gary rich. He and his partners filed suit against Warner Brothers in 2015 for more than $10 million in unpaid royalties.